When pairing a pencil skirt with a silky blouse it works as chic office attire no matter how loud the print, but I prefer to mix them with something more unexpected like a graphic tee or denim shirt. I'm not sure if I would dare to bare my midriff but a stunning heel can never be beat. Although on my wish list for a patterned pencil skirt is a Peter Pilotto I'm also loving the more affordable options on the market. 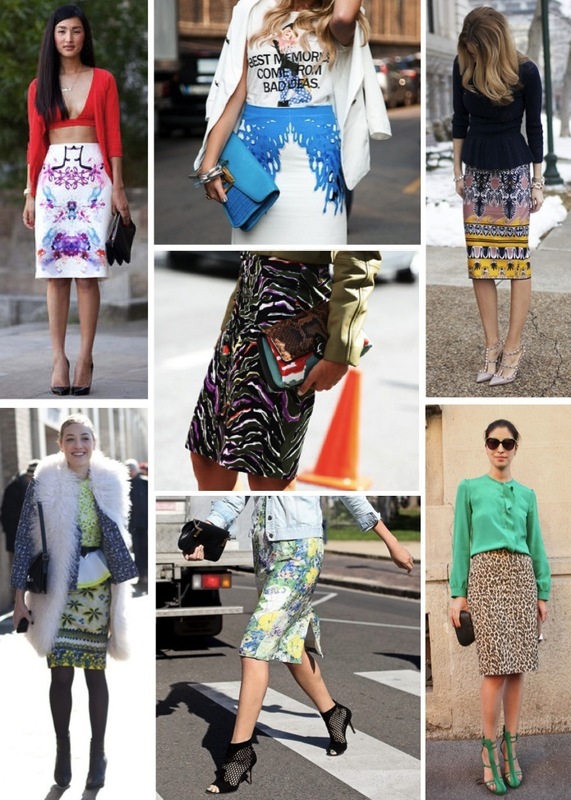 Below are just a few standout printed pencil skirts I wouldn't mind seeing in my closet. Do you have a favorite? One of my favorite things about springs are the gorgeous prints that come out. I can't wait to find a super cute floral skirt! Oh my god I saw one of the neoprene Clover Canyon pencil skirts at Scoop last weekend and I started lusting after printed pencil skirts soooo badly after that! This post just convinces me more that I should invest in one! I love the options you picked! Pencil skirts can either be good or bad on me, but I'd love to try one of these out! I love a good printed skirt for spring ! 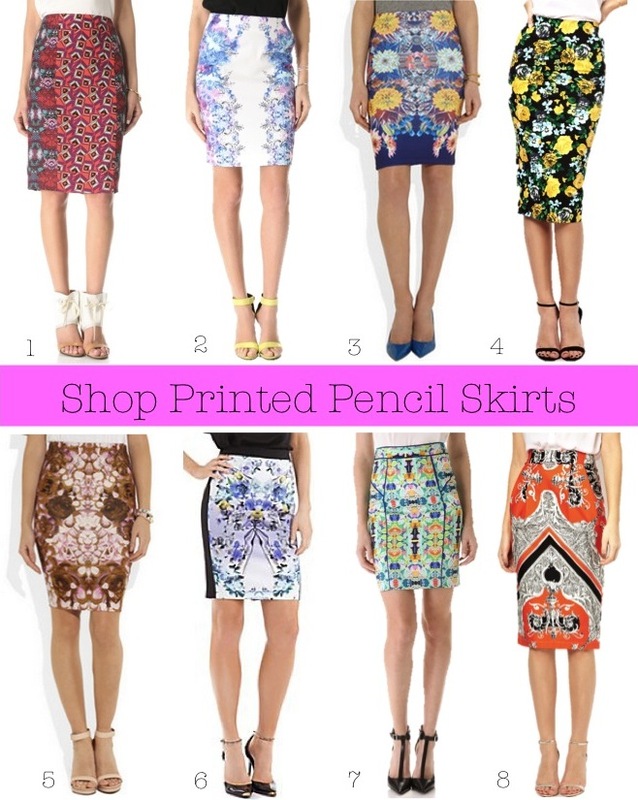 wow really great selection, I have been looking for a printed pencil skirt for some time now and this post was really helpful! I LOVE printed pencil skirts! you chose some of the cutest! That looks great! I love the botanical garden ones.. I love them because they make the figure very svelte. What did you do????? Now I want a whole variety of these skirts ! They so pretty! This is an amazing selection, I would love to pull of one of these.